We all love to look at pictures of gorgeous art and craft studios. We collect inspiration on Pinterest boards, hoping to find ideas that we can use in our own creative spaces. But what if you don’t have your own polymer clay studio? Have you always wanted to have a dedicated space just for making your polymer clay creations? Why don’t you have one now? I’m sure there are many reasons. Maybe your life is crazy right now and you plan to move soon. Or you live in an apartment or flat. Maybe space is tight. Or you have little kids who get into everything. Or maybe there just isn’t enough money right now. Regardless of the reason, though, there are still plenty things you can do to create space of your own. 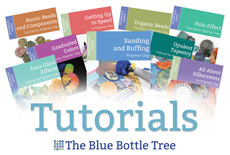 Read on to learn ways to make room for your polymer clay studio. Sometimes you have to rethink how you use the current space in your home. Is all of your space being utilized efficiently? Are you using a specific room to store things that could be discarded or stored in an attic or basement? Could you re-purpose an area or space to make room for your polymer clay studio? Come on, be honest. How many of you have a formal dining room that is rarely used for dining? If you usually eat your meals in the kitchen or in front of the TV, you could convert your dining room into a polymer clay studio. If you still need to have large family meals at the dining table on occasion, then design your workspace so that you can pack it away easily in plastic bins or storage boxes. Do you have a guest bedroom? If you’re like most people, the guest room tends to be used for storing off season clothing or things you don’t know what else to do with. But maybe you could find another place for that kind of storage? A guest bedroom is a natural choice for a craft room because you can be as messy as you need to be and close the door at the end of the day. A door is nice because it helps keep out stray lint and dust from the rest of the house, too. Do you still need to have a guest bedroom for guests? Then you’ll need to keep a bed in the room. But nobody said you have to keep a large bed. There are very nice futons, murphy beds, or even inflatable mattresses that make a suitable bed when guests come to visit. Depending on your home and the climate where you live, you may be able to use the basement or attic loft. I once had a very nice sewing room in my basement. It wasn’t much to look at, but it was very functional. You just have to think out of the box. I used discarded furniture as a desk, an old door as a cutting table, and inexpensive fluorescent shop lights to bring light into the dark space. Are you considering remodeling a room in your home, such as a laundry room or kitchen? Is there a way that you can join your creative space into that room, giving double duty? Cynthia Tinapple remodeled her laundry room to incorporate her polymer clay studio. At one point my husband’s garage renovation plans included a fold-down workbench for me to use. An easy way to make a craft studio in your guest room is to use the closet as the studio itself. You can fit an amazing amount of work space into a closet and the advantage is, of course, that you can close the doors and hide your mess! This photograph from Better Homes & Gardens features an office in a closet, but there’s no reason you couldn’t have a polymer clay themed studio instead. Convert a closet to a craft studio. Photo by Better Homes and Gardens. There are advantages to making a polymer clay studio in your living space. Many people dislike being isolated in a separate studio room and prefer to be surrounded by their family. And having a specific studio means that your work materials aren’t mobile and so it becomes quite an ordeal to move your work space to the family room to watch a movie with your family while working with clay. Microwave cart by Catskill Craftsmen. Microwave cart converted to craft cart as seen on Better Homes and Gardens. I’ll bet you’ve seen microwave carts at garage sales or maybe you even have one in the corner of your kitchen, unused, piled full of old cookbooks. With a little adaptation, his could make a really great mobile clay studio. You could fit shelves across the back section, attach a slide-out work surface to the top, and fill the bottom cabinet with bins and boxes. The Ikea RÅSKOG cart, a favorite among crafters. A variation on the microwave cart idea would be to store all your clay and supplies on a utility cart. You can roll the cart to wherever you are working and then roll it to a closet or spare room when you are done. I’ve read great reviews of this IKEA RÅSKOG cart. It’s particularly narrow and yet stable, perfect for tight spaces. Have one cart for clay and tools, another one for paints and finishing supplies. Or you could even create your own cart. This drawing of a polymer clay cart was shared on Facebook by Denise Teixeira. I think it’s brilliant! Now that flat screen TV’s are everywhere, most second hand furniture stores are full of obsolete TV armoires. These are ideal for converting to an all-in-one craft studio that can be hidden away by closing the doors. You can also use a regular wardrobe armoire as well. Using an old TV armoire as a craft studio. Photo by Todd and Kristin. And you might want to consider using a secretary desk with hutch, too. The drop-down desk makes this a particularly simple choice. Secretary desk used as craft center. Photo by Gina Lee Kim. Don’t have the wall space? Need a portable table but you really want a stable and sturdy one? I completely fell in love with this DIY portable table from American Woodworker. It appears to be quite simple to make. The plans are even included! Folding, portable table. Find the plans at American Woodworker. In a perfect world, we’d all have the resources to build a fantastic studio addition to our homes. But even in our imperfect reality, there are ways to create a studio by doing a little bit of construction or conversion. Do you have a porch that can be closed in? I know this works because my studio is in a space that was formerly a porch. Three of my studio’s walls are outdoor siding, in fact! Is your garage detached from your home? Is there a breezeway connecting them? Perhaps there’s a way that you could close in this space to make room for your polymer clay studio? Or maybe you could bump out the back wall of your garage and make enough room to get in a nice work bench? Here in the US, many homes have a garden shed in the back yard that tends to be filled with old tools and junk. Maybe you could convert this to a studio? Many sheds like this are already wired with electricity (because someone was going to use it as a workshop) so that makes it even easier. My absolute craziest idea for creating a studio addition, though, is to use an RV (that’s a caravan to those of you in the UK). Do you (or a friend) have an RV that just sits, unused, 11 months out of the year? Why not convert that to a craft studio? It already has built-in tables, shelves, cabinets, and possibly even heating, cooling, and electricity. You’d have to move your supplies when it’s time for the RV to go travelling, of course. But if you’re desperate for space this just might give you the room that you need. The bottom line here is that everyone, no matter your situation in life, can find a way to dedicate at least a little bit of space to make room for your polymer clay studio. You might have to think about things in a new way, or spend a little money, or make allowances in other areas of your home, but almost everyone can find some way to make the room. On Thursdays through the month of April, Katie from Kater’s Acres and I are working together to bring you a series of articles on Making the Most of Your Polymer Clay Studio. This is week two of our four-week series. Read week one, How to Fall in Love with Your Polymer Clay Studio, No Matter Its Size, over on Katie’s blog. Next week we’ll be back over on Katie’s blog for another article looking at making the most of your polymer clay studio. These are great ideas! You women have come up with things that really impress me. Murphy table? Brilliant! I liked that one too. Kind of like the fold-down ironing boards, but much better! My gent and I are planning to buy a house this summer, so this came just in time for me to start making little plans. In the mean time, we’re in a teensy little apartment (3 ppl no less) so some of these will help, and others I’ve done already. Isn’t that little table great? It would fit behind a couch or under the bed. It’s hard living in a tight space. When we had all the kids home it got really tight here. We had to schedule showers or we’d never get out in time each day. I hope you get a great house soon! You never know when they’ll come in handy. I’m considering that Ikea cart, myself, just because it means you can move things around to where you need them. And I’m jealous of a big room…enjoy yours! Thanks, Nancy. I’m thinking it would be nice in the laundry room as a “spillover” for when I’m really busy and stuff is everywhere. Great info as usual Ginger! I’m looking at my computer station right now & thinking how I could re-purpose it as my clay/playground! We’re creative types, aren’t we? No reason we can’t get creative with re-purposing our stuff, is there? My clay studio is actually just been moved to a walk-in closet. With carpeting. Where I promptly ground a little piece of black clay in. I managed to get most of it out but I’d really like to protect the carpet from any more accidents. I thought about a office chair carpet/protector (those hard plastic half-circle), but I’m afraid it would just get all over the chair wheels and still get on the carpet since they’re not all that big (and they’re expensive). Plastic drop-cloth might get torn from the weight of the chair, a tarp would be sturdier but is kind of tacky. Don’t know about an old bed sheet. Does anybody have any ideas? What has worked for you? A plastic carpet runner or one of those desk mats made for an office space works good. My husband had one under his desk when wee had carpet.